Having worked for a foreign exchange (FX) broker in the past, Stuart Plummer and Joe Jones were well placed to consider launching a brokerage business of their own. 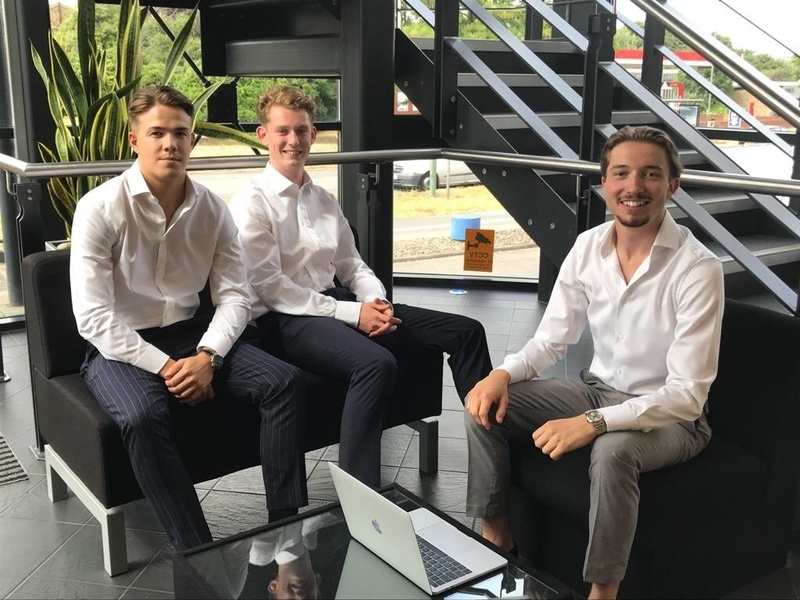 Seeing no good reason not to start-up, and with a desire to build a business they could believe in, Stuart and Joe founded Pangea FX in November 2017. Providing rates of currency exchange to corporate and private clients, Pangea FX addresses a number of problems in the foreign exchange industry with a convenient online platform and a great-value, tailored service. Nwes spoke to Pangea FX about their start-up journey so far. When did you gain your first customer? “By calling clients who import, we gained our first customer within our first week. We felt happy that a company trusts us with being so new, especially dealing with clients exchanging anywhere between 20,000 and 20 million in foreign currency”. “We work at the Harlow Enterprise Hub which has provided us with an office with all the services we need at an extremely affordable price for a new business”. “Being a new business, and asking people to place their trust in you with large amounts of money, is a challenge for any business in the early stages. Using a large company as our provider who funds are sent between helps put our clients at ease, as well as us being honest about the size of our company”. “We plan to have a team of 15 sales people in 2 years, and we plan to do so by focusing on retention of existing clients and the on-boarding of new ones which the sales team will cover”. What has the impact of support from Nwes had on you and your business? “Nwes helped guide us through the process of everything that’s required when acquiring an office lease. We needed an office as soon as possible after leaving our old company, and the process of moving in to the Harlow Enterprise Hub was very quick”. “Running a business has been more educating than anything we’ve done before. There are so many things you don’t realise that need to be done, and if you are going to start, you need to be prepared to learn new things and be able to take on unforeseen tasks. Give yourself more time than you think you need. Things will not always go to plan, whether its setting up, setting targets, setting aside time for other business activities, these things take up more time than you think and if you don’t give yourself enough time you will put unneeded pressure on yourself and the business”. Learn more about Pangea FX here and how Nwes can help your business too.